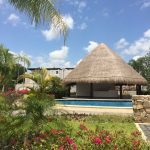 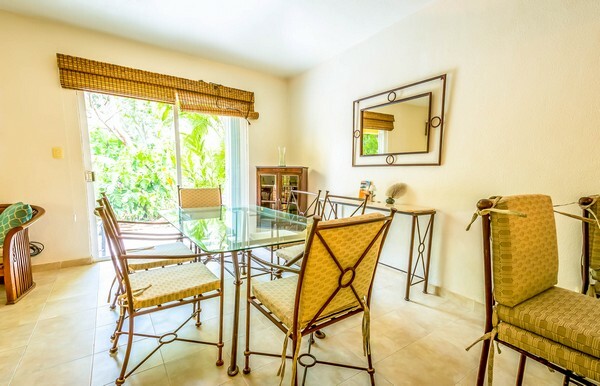 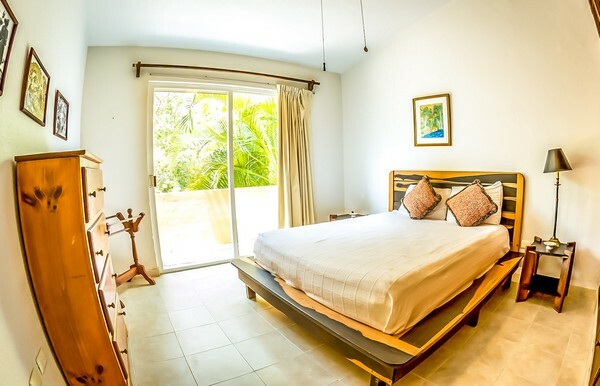 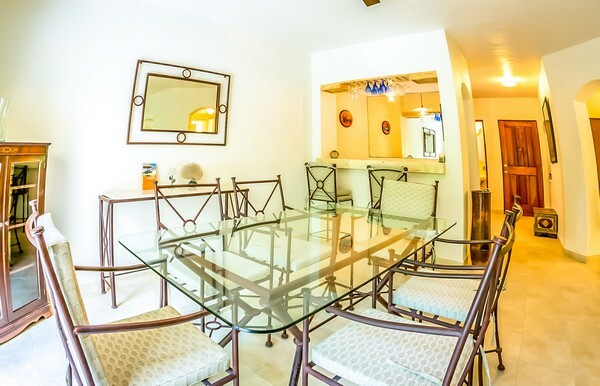 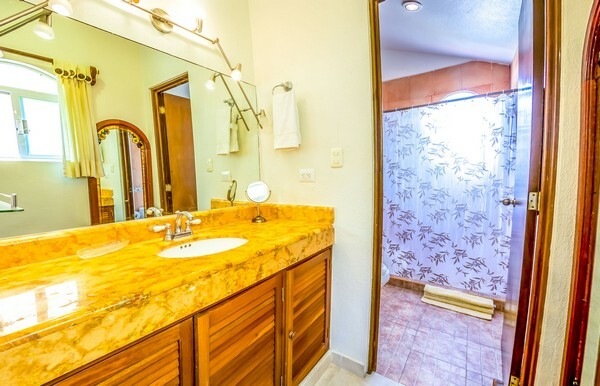 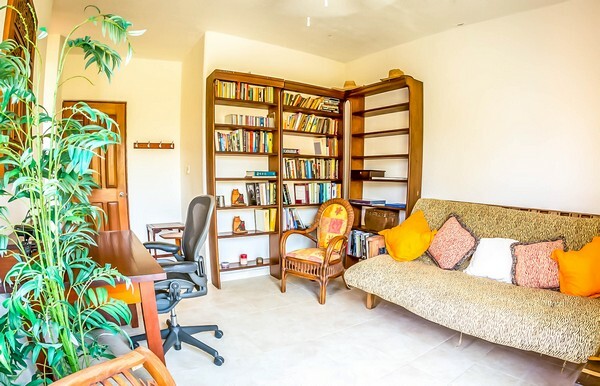 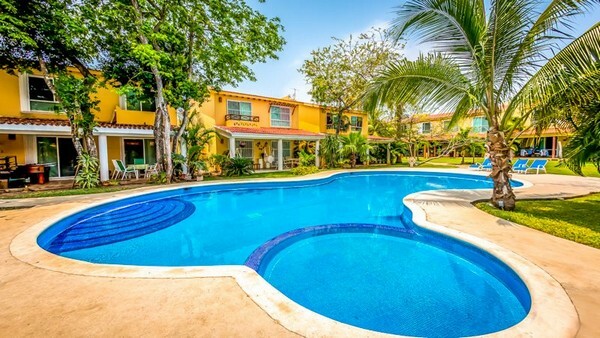 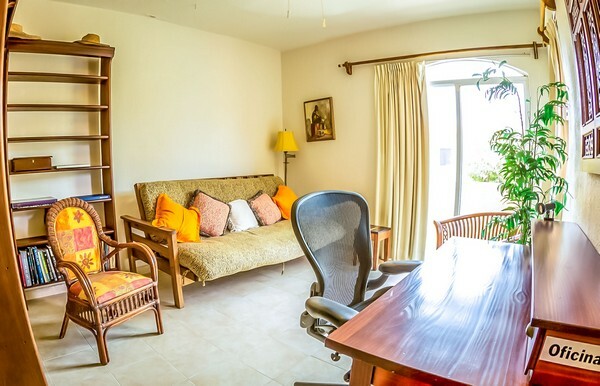 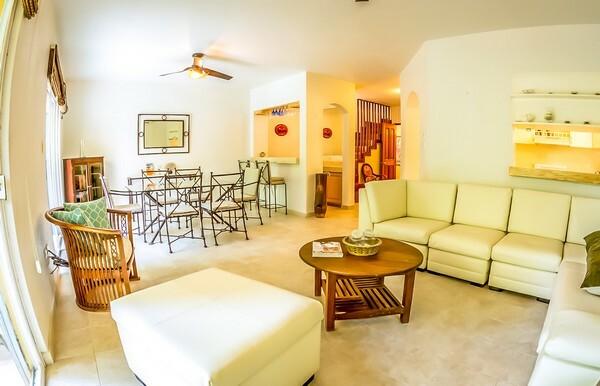 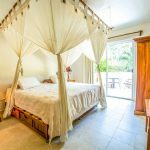 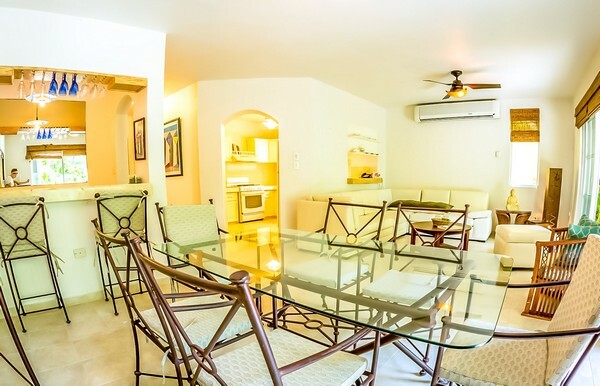 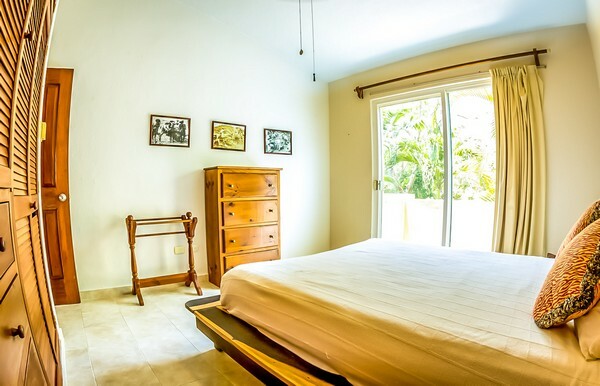 Located on a quiet street in the gated community of Playacar, this charming home backs onto lush jungle and the tranquil Hard Rock Golf Club Riviera Maya. 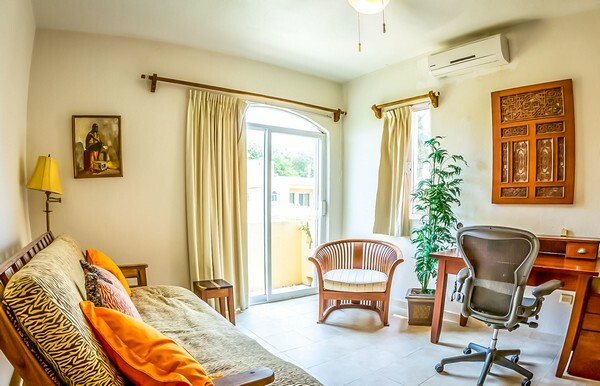 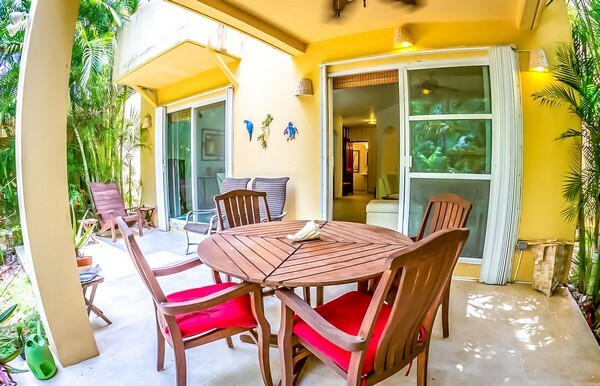 Tenants will enjoy the verdant, tropical views and pleasant chirps of the local birds from the ample, partly covered terrace. 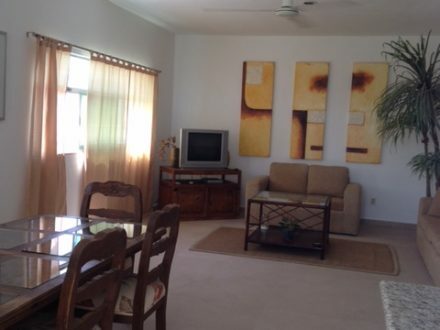 On the main floor is an open living space with gorgeous, sectional sofa, a dining table for 6, bar area and 1/2 bath. 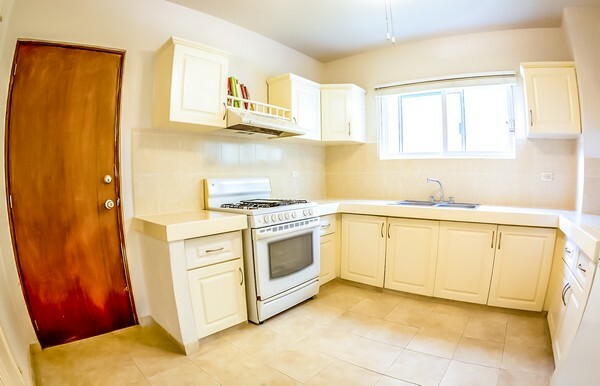 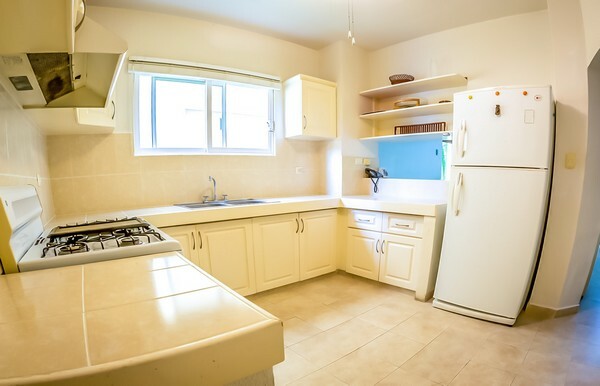 The kitchen comes fully-equipped and leads to a huge laundry room with washer and dryer. 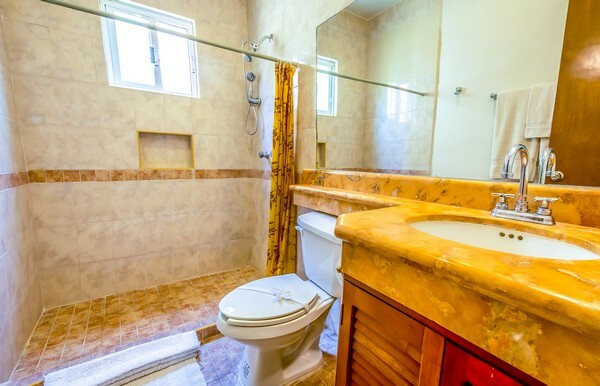 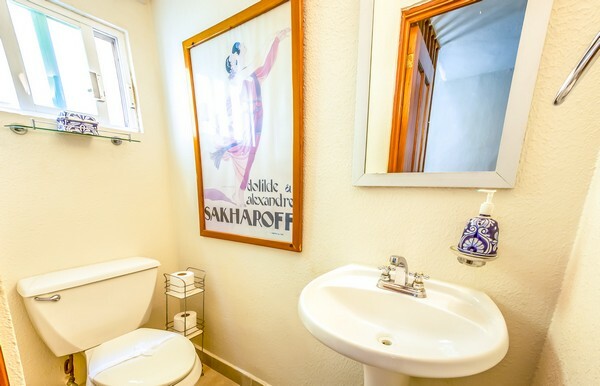 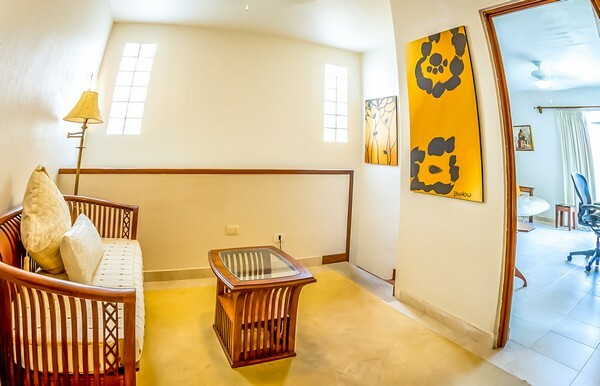 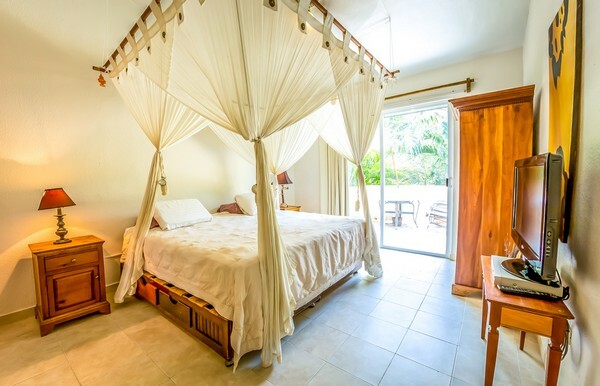 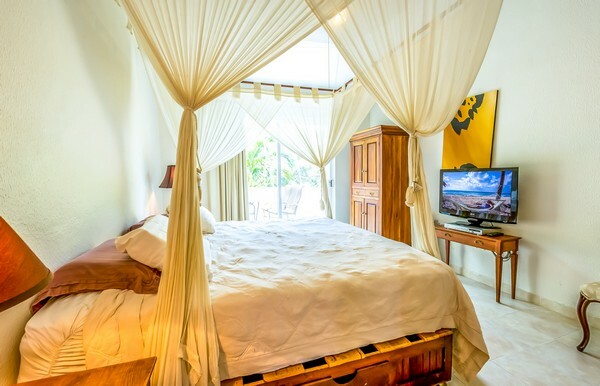 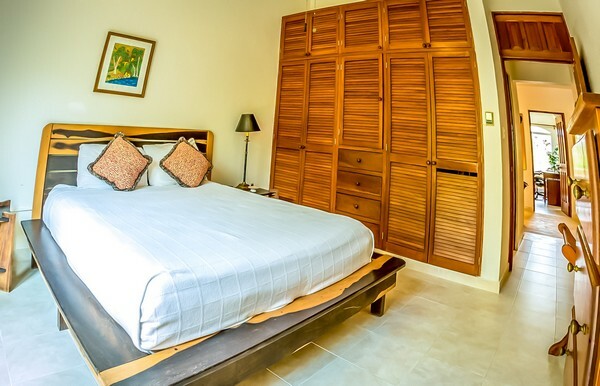 Upstairs is the spacious master with a canopied king bed, en-suite and flat screen television. 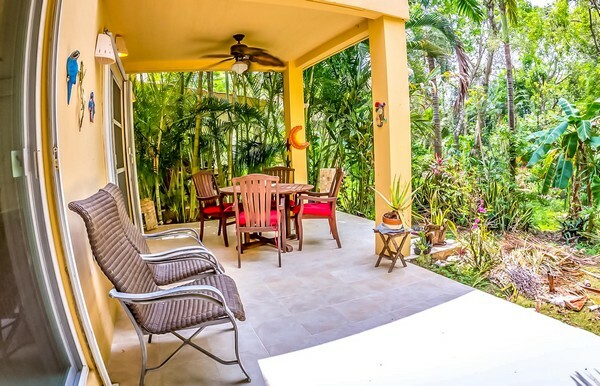 Sliding doors open to a wide terrace with seating which overlooks the peaceful forest. 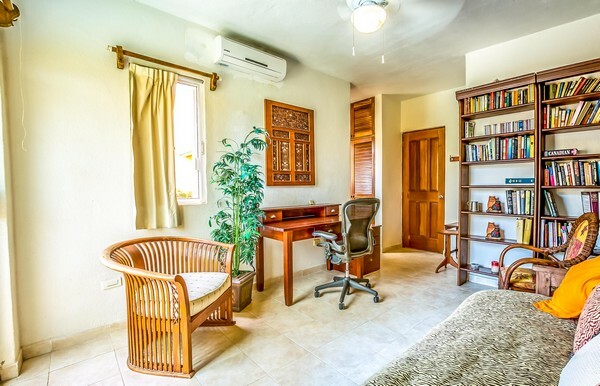 The first bedroom features a double bed and the second has been converted into an office space with a desk, futon and large shelving unit. 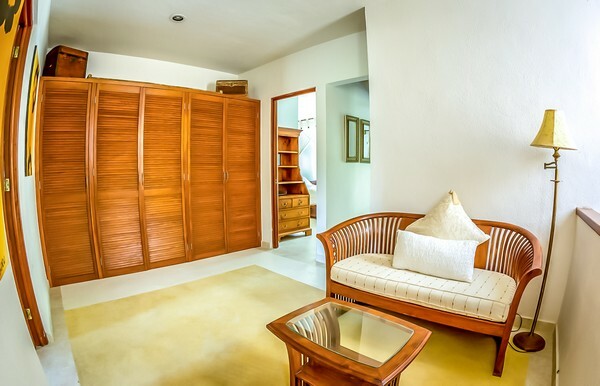 Other provisions include a/c, ceiling fans, linens, a safe, a DVD player as well as an abundance of closets for substantial storage space. 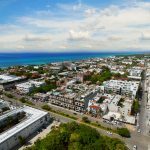 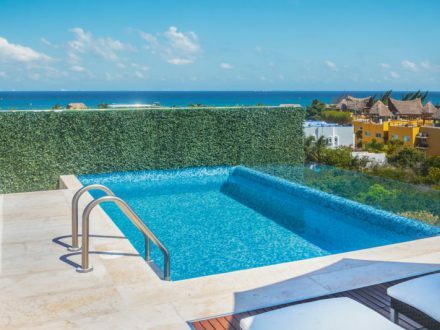 The sprawling property with its pristine communal pool, sits within a peaceful neighborhood just a leisurely walk from Playa del Carmen’s famous 5th Avenue.